This is part 2 of our ultimate guide to large diaphragm condenser microphones. If you have just landed here, then you may want to read part 1 first, where we cover a few basics about large diaphragm condensers, and pick the best microphones available under $100. Or, you may want to skip straight to part 3 if you have an outsize budget of up to $1000 available to spend on a microphone. Although we found some great mics sub $100, if you can increase your budget a little then these mid-priced microphones will offer so much more in terms of recording quality. Have you heard the old recording studio truism “garbage in, garbage out”? Remember that your mic is the source of your recorded signal. It is where the recording chain begins. So if you start with a signal from your mic that is noisy or distorted then you will be stuck with these problems through the whole recording process. No matter how good your recording software is, it is so much easier to pick the right microphone and get it right up front. Having a little more to spend can also get you additional features such as switchable pickup patterns, high pass filter options and switches to adjust the frequency response. 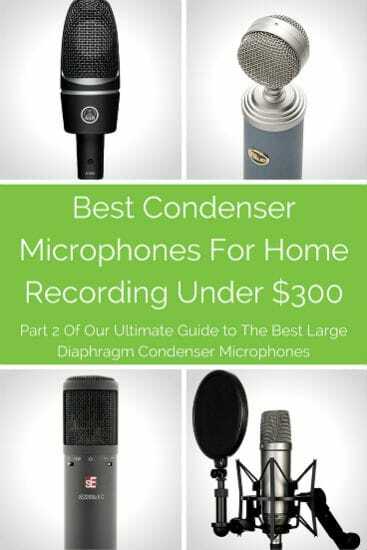 So if you are ready to raise the bar a little, here are 9 of the most popular and well-reviewed large diaphragm condenser microphones in the $100-$300 price category. 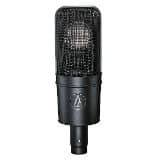 Audio Technica AT2035 Large Diaphragm Studio Condenser Microphone. Exceptionally popular, almost universal 5 star reviews, this is a well built microphone with a natural sound and low noise. The pickup pattern is such that you record more of what you want, with minimal external studio noise. Handles high sound pressure levels (SPL’s) very well, so great for vocals. Behringer B-2 Pro Dual-Diaphragm Condenser. Another mic with selectable cardioid, omni and figure eight polar patterns, so good for a wide range of uses. Also has a switchable low frequency roll-off and input attenuation. Good build quality and recording results very comparable with much more expensive microphones. Rode NT1-A Anniversary Model. This is a redesigned version of an industry standard mic. The NT1A is renowned for its low self-noise so you will get recordings with more of what you want to capture and absolutely minimal hiss. Well priced for an absolute classic, and nicely packaged in this edition with shockmount and pop filter in the box. AKG C3000 Multi Purpose Studio Vocal/Instrument Microphone. This microphone is a veteran and another classic, and it works well in both studio and live settings. It has a clever internal shock mount which reduces handling noise from mic stands and cables, plus it handles high SPL’s very well. Nice and robust, and in production since 1993, consistently popular in this price bracket. Audio Technica AT4040 Cardioid Condenser Microphone. The AT4040 is a “true condenser” which refers to the way the diaphragm and backplate are charged. Generally true condensers cost more, and are the preferred choice of many studio engineers. Certainly this mic has low noise and a wide dynamic range. There is very little frequency distortion, and so it is popular for its versatility and ability to handle lots of different instruments as well as vocals. Sturdy metal design too. Blue Microphones Bluebird Cardioid Condenser Microphone. Who could resist the unique design of the Bluebird. This mic has been engineered to be versatile, and offers a lovely warm tone. 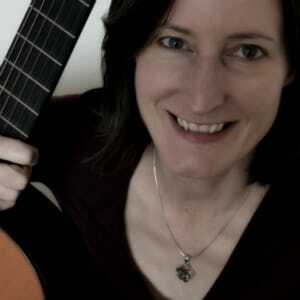 It is ideal for a whole range of uses, in particular both male and female vocals, guitars, piano, horns and strings. But all other things being equal, this mic will look fabulous in your studio because of its unique vintage look. 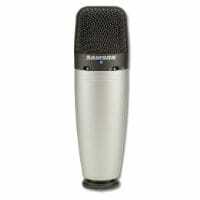 sE Electronics 2200a II Large Diaphragm Multi-Pattern Condenser Mic. For a long time the sE2200a has been a best-selling and award winning microphone, but the mark II now has a choice of pickup patterns (Cardioid, Figure of 8 and Omni). So if you can only afford one mic and have a whole variety of recording situations you should be able to find the right setting with this one. It looks quite unassuming, but the black rubber paint finish is extremely practical and elegant. Shure SM-27-SC Cardioid Side-Address Condenser Microphone. Had to fit a Shure large diaphragm condenser mic in this list somewhere. Perfect pedigree, lovely sleek looks, this microphone will give you a good natural reproduction in the studio or in live settings. It has a switchable filter so you can deal with proximity effect and any unwanted background noise. Samson C03 Multi-Pattern Condenser Microphone. Very versatile mic with switchable pickup pattern, or you can record ensembles (in omni mode), 2-way interviews and duets (in figure-8 mode) and solo vocal and instrument performances in SuperCardioid mode. Also has a switchable high-pass filter and 10dB pad. You should be able to get the perfect setup in most recording situations with this well priced multi-purpose condenser. As you can see, there is plenty of choice of microphones in this price bracket. But if you are still not sure you want to spend this much, or if you think you really want to push the boat out and have a bigger budget, then do check out parts 1 and 3 of this guide, mics sub $100 and mics in the $300-$1000 category. Finally, if you are confused by any of the specs, then to help you out we have a more detailed technical article that covers all the different types of microphones there are, and what all the spec jargon actually means, so that you can make a meaningful comparison. Happy hunting!